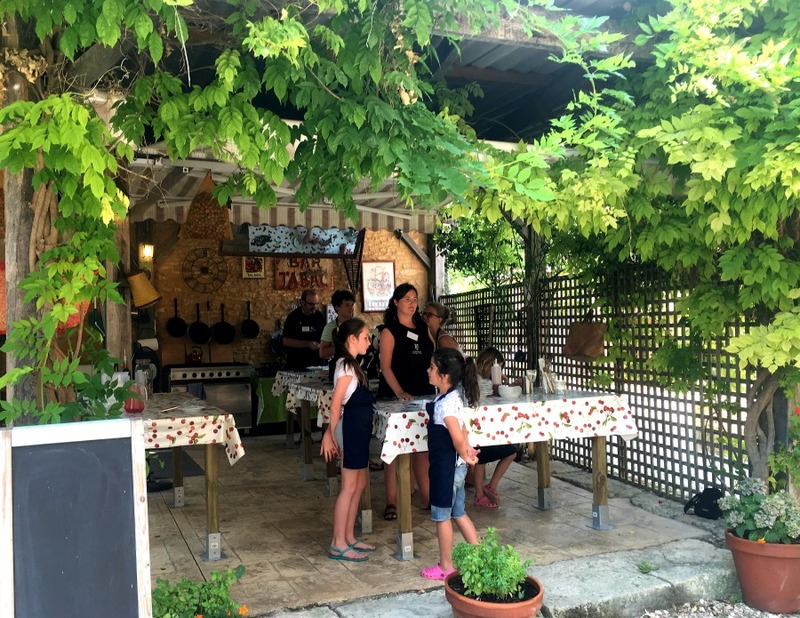 The outdoor kitchen – so quintessentially French! 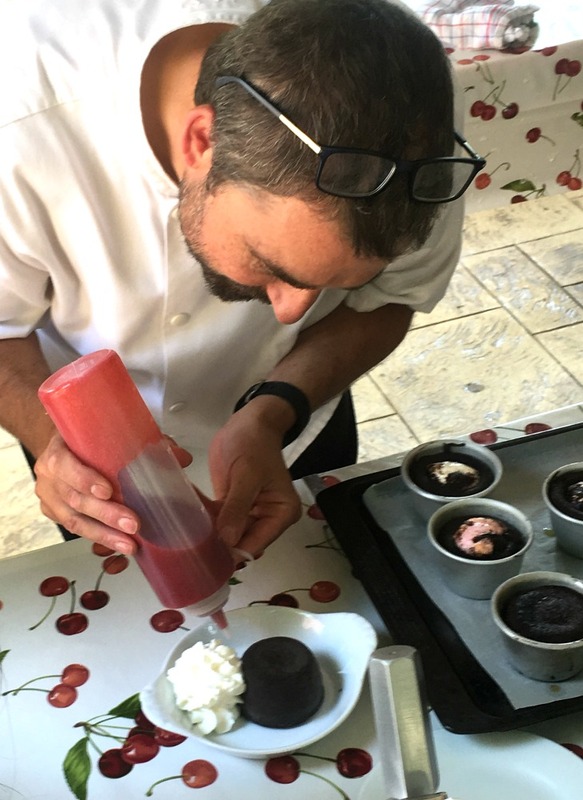 The course consists in creating two dishes using regional, fresh produce. We start by preparing the dessert – chocolate fondant – as it needs to be refrigerated for an hour before being baked. Then we move on to the main course: ‘duck grattons’ and duxelle tartlets. Duck grattons is very similar to rillettes or pâté and the duxelle is what you use to stuff a beef wellington. 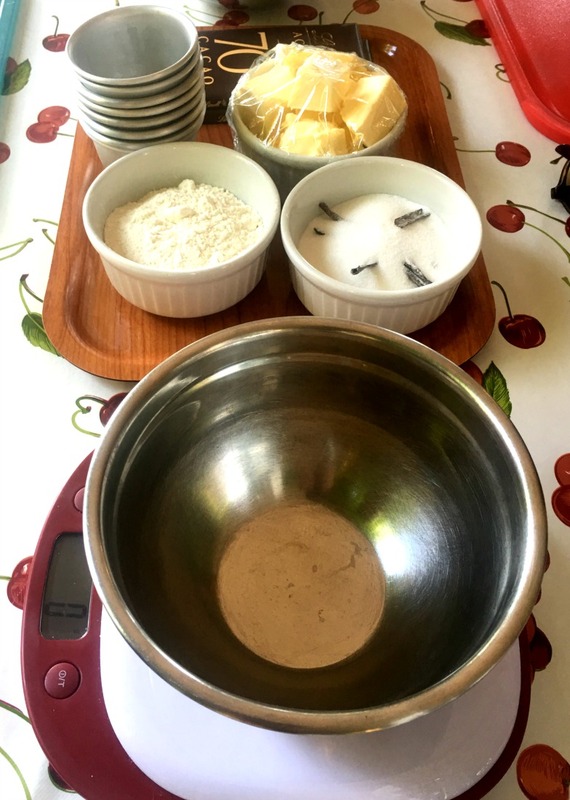 Once the tartlets are prepared, they are whisked off to the kitchen where Sara will do her magic and bake them in the oven for us. Next, we move on to prepping a regional mixed salad. 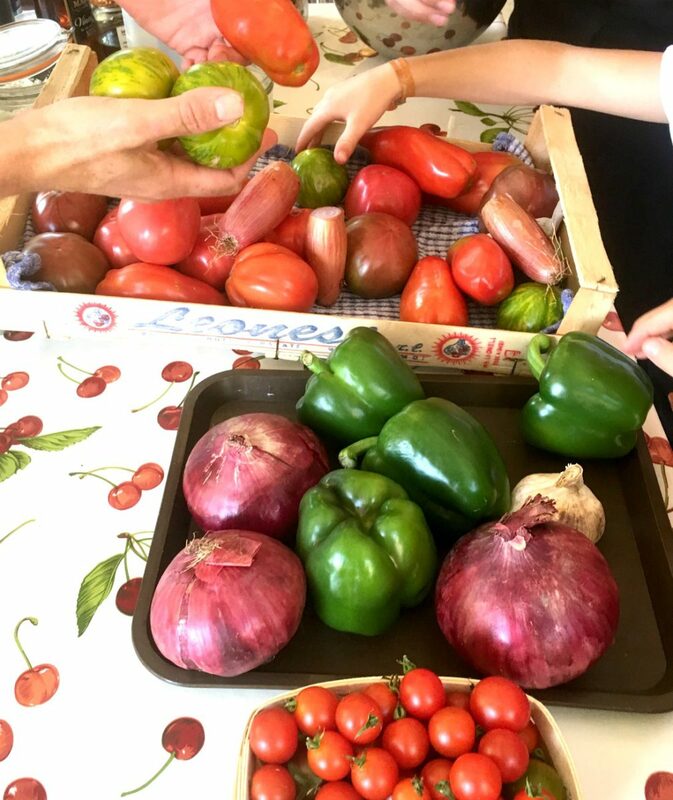 You can choose from a beautifully displayed array of fresh, local produce worthy of a French market stall. This includes red tomatoes, cherry tomatoes, pineapple tomatoes, peppers, red onions. Ian talks you through how to make a pro’s salad dressing and encourages you to taste each ingredient as you go along. 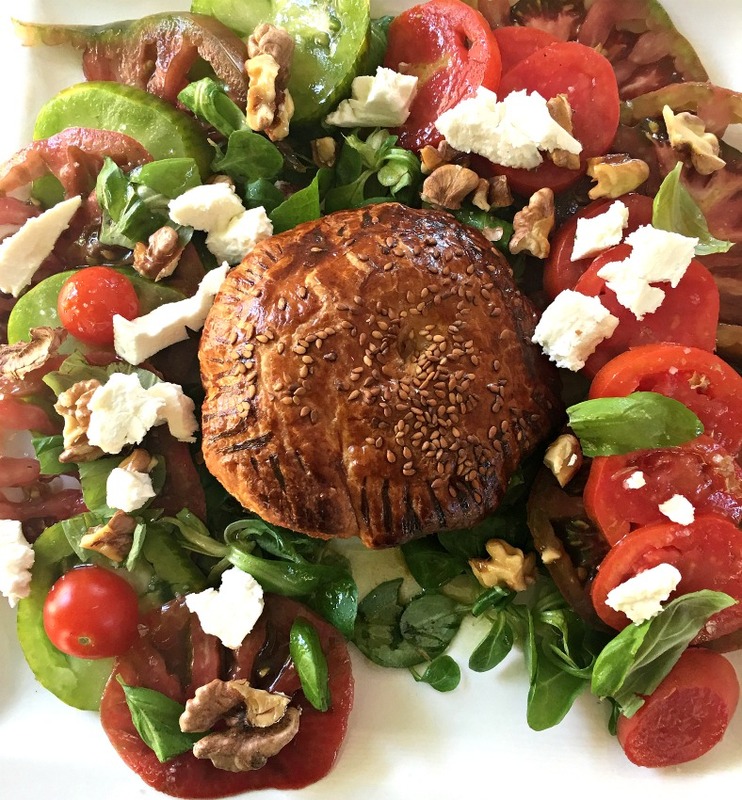 We finish off the salad with some fresh 2 day old goat’s cheese, local walnuts and the freshly baked tartlets popped on top. Everyone is free to come up with their own plate design. Ta-da, my finished product – it tasted as good as it looks. Time to sit down and enjoy the fruit of your labour. This is also a great opportunity to chat and get to know your fellow culinary partners-in-crime. Also, if your other half isn’t keen on the hands-on cooking experience, they can simply turn up after all the hard work has been done and join you for the meal (at an additional cost). Main course down, you need to get back to work! 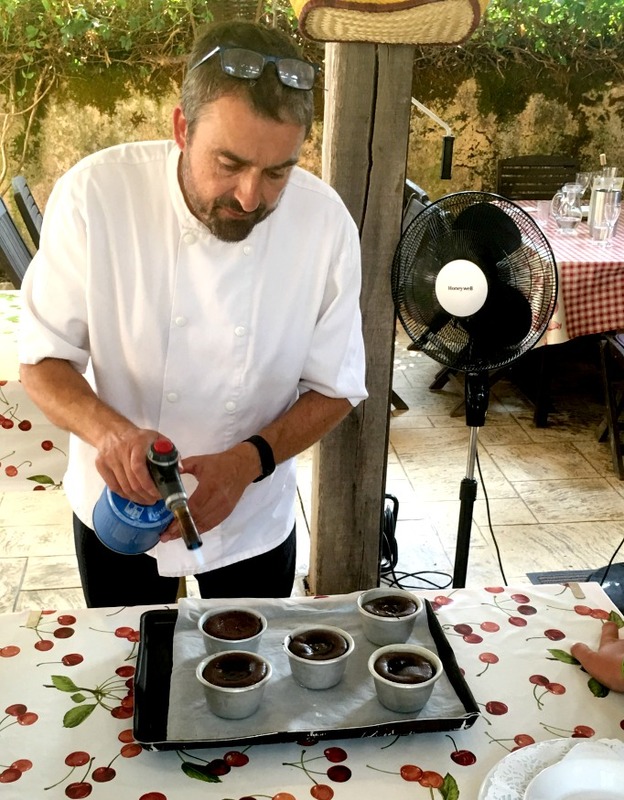 Ian brings out the baked chocolate fondant and lets some of the teenagers loose with a blow-torch to help ease the fondants out of their moulds. Who knew that blowtorches were used in the kitchen! 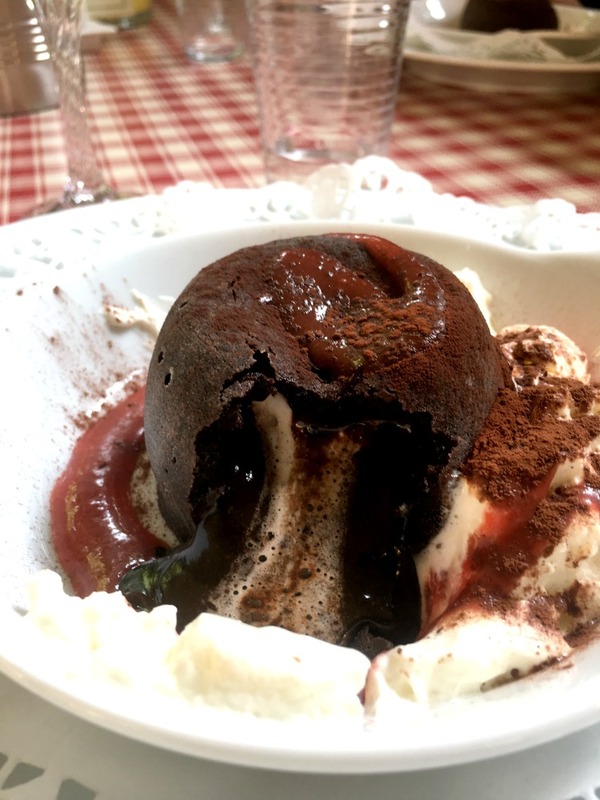 A quick prayer to the chocolate fondant God and out they pop. Again, you get to ‘play’ with proper cheffy tools and produce some whipped cream using a special canister thingy (oops, can’t remember the proper name). Food styling with some strawberry and basil coulis. Back to the table to eat the divinely delicious chocolate fondant. The course finishes at 1pm after Ian has awarded the Junior Chef Certificates. You will head home full of enthusiasm and excited at the prospect of being cooked for by your kids! Sara will also email you the recipes so your kids will have no excuse but to get in the kitchen and to start recreating these culinary delights. 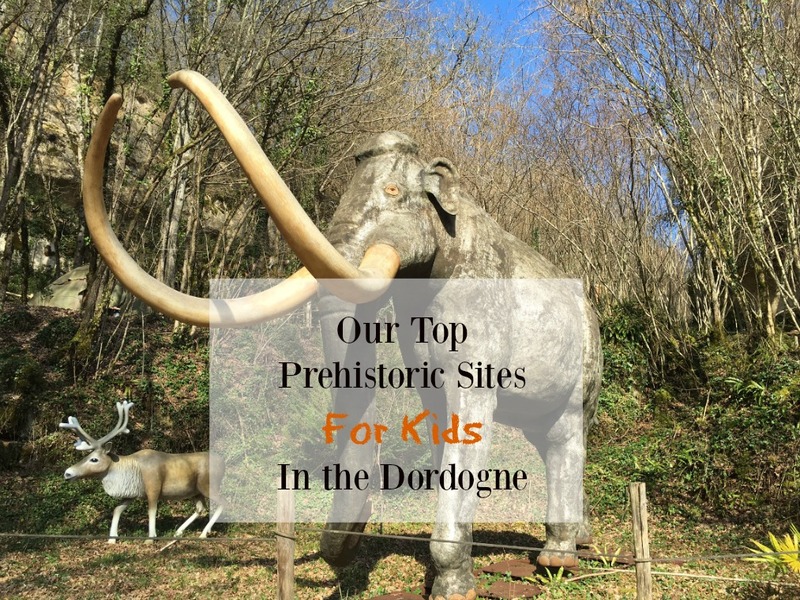 Ian and his wife Sara have been living in the Dordogne with their children since 2004. 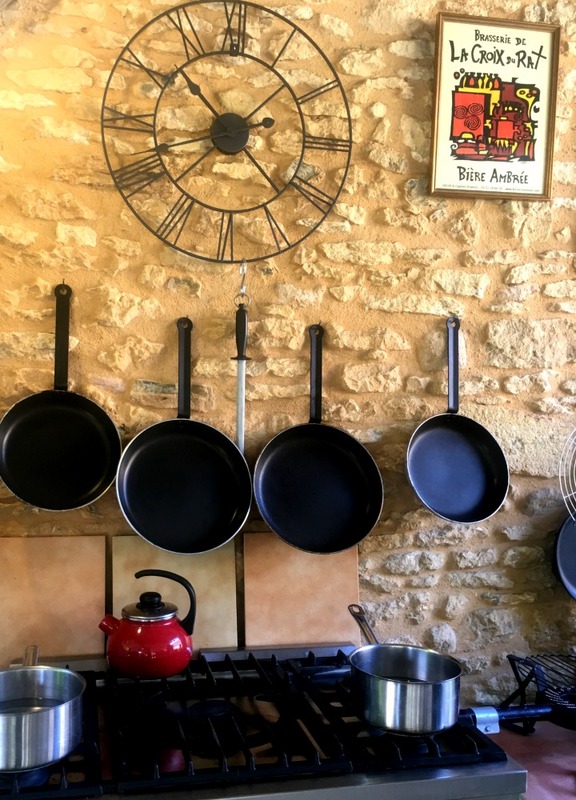 They run the award-winning Le Chèvrefeuille Bed & Breakfast and Self-Catering Gites as well as their Cookery School. Ian trained as a Chef at the famous Talbooth Restaurant in his native Essex in England. 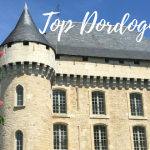 He has been running his CookDordogne Cookery School for several years and only recently launched the family & kids half day cookery course which has been a run-away success. Ian’s passion and enthusiasm for local produce, getting children into cooking and healthy eating is infectious. He is a natural teacher and knows exactly how to tailor the course to his audience. Ian has a fun, light-hearted and encouraging teaching style. 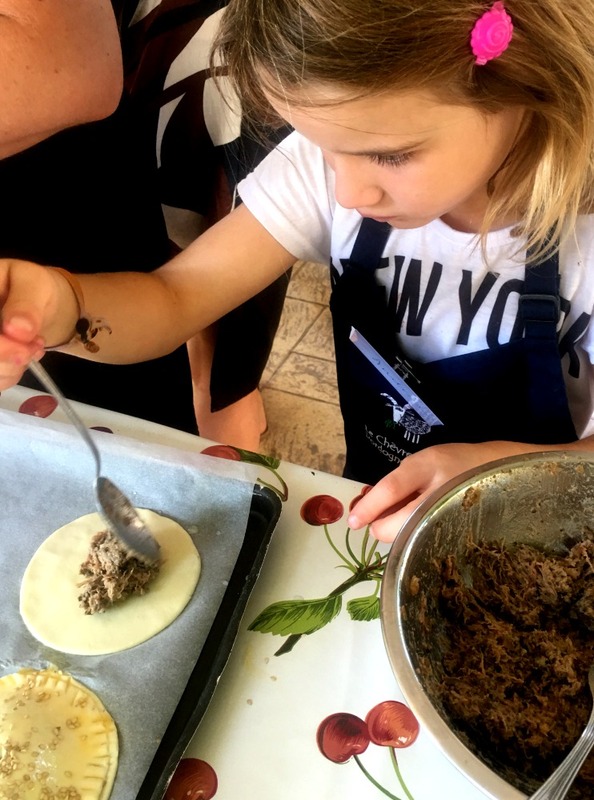 Once you’ve participated in the family cookery course, you may be looking to come back for more. 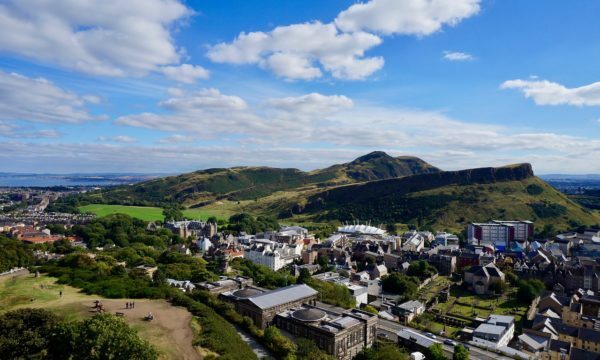 Ian also offers full day regional cookery courses, guided market visits, cookery demonstrations as well as gourmet stays. 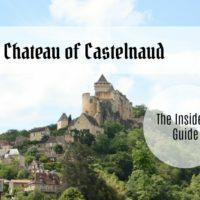 You can also choose to stay in their beautiful bed and breakfast, Le Chèvrefeuille, in the heart of the Dordogne. Book your space early if you’re interested as they’ve just been awarded the coveted 2017 Tripadvisor Award for Excellence so places will be highly sought after. 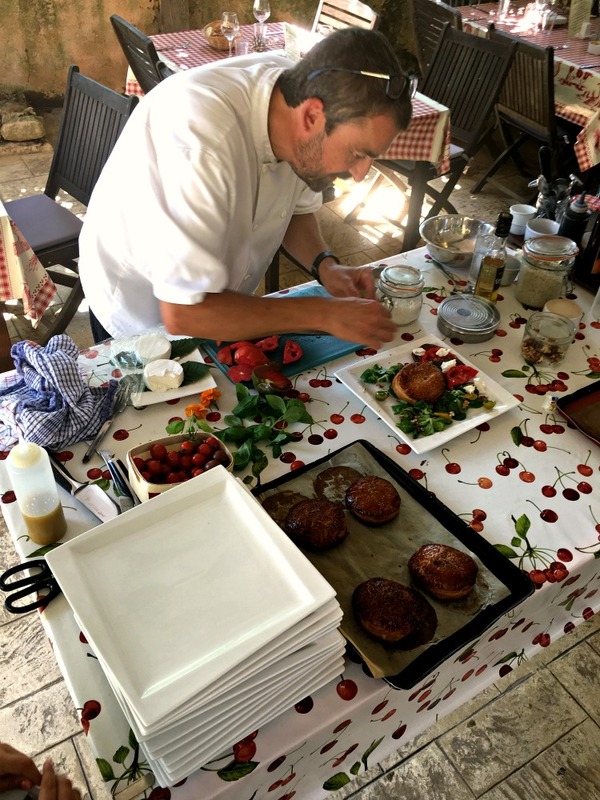 The cookery course will undoubtedly be one of the highlights of your trip to France! 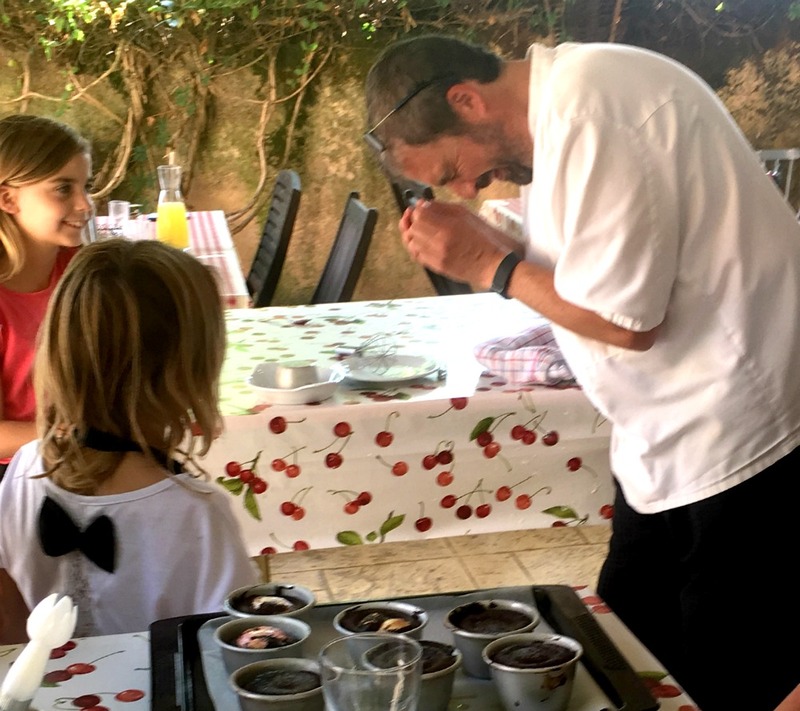 It was so much fun being able to ‘play’ with proper chef’s tools and we also had a good laugh when the teenagers managed to spray whipped cream across the kitchen. I loved the fact that the food wasn’t ‘dumbed’ down for kids. 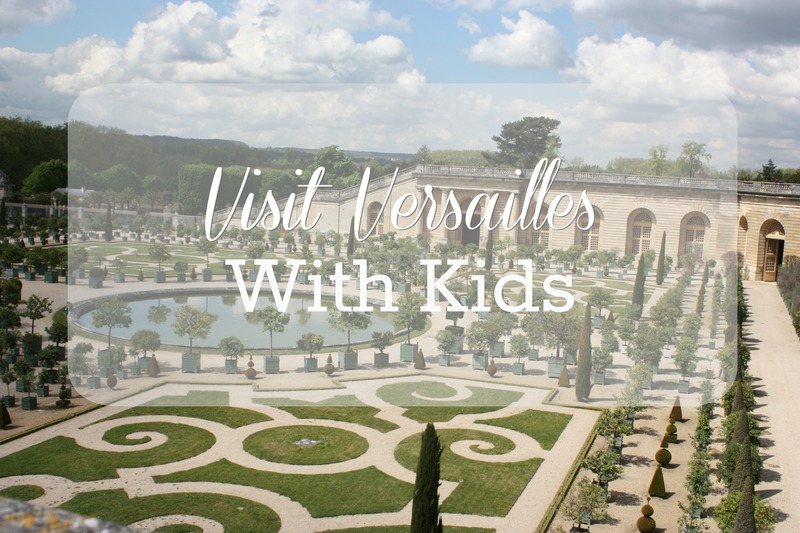 It’s easy to let life get in the way and fall into the weekly grind of family life. Here, we had the opportunity to have a special mother-daughter experience where we worked together as a team and had a good old giggle. 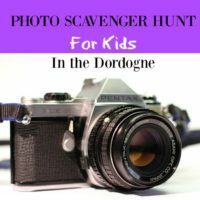 A fellow mum mentioned how lovely it was for her and her husband to do an activity with her teenage boys who were rarely keen to do anything with mum and dad. Boy did we laugh! Ian has a brilliant sense of humour and does a great job of keeping things light-hearted and fun. A few near misses with the blowtorch and exploding cream were some of the highlights. 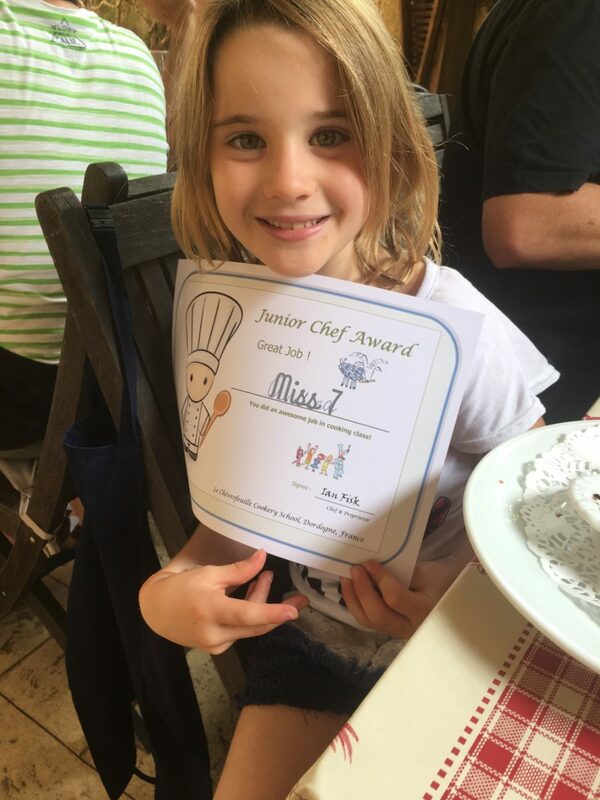 This was probably the icing on the cake for Miss 7 – receiving her Junior Chef Award. Spoiler alert – parents don’t get certificates. She really was as proud as punch! My food philosophy: Spend more time shopping and less time cooking. Buy local, fresh, seasonal ingredients and let them sing! Have your kids caught the cooking bug? Are they addicted to watching Junior Masterchef or the Great British Bake-off? Ride that wave of culinary enthusiasm and ensure you get a few more meals cooked for you! 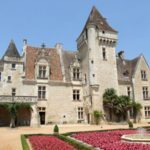 Check out Let’s Cook French, A Family Cookbook: Cuisinons Francais, Un livre pour toute la famille – we’ve just ordered it and are very excited to delve into some of the recipes. I love the fact that it’s both in English and French as Miss 7 struggles to read in English so this will work perfectly and might even help her to read in English. So not only will your children be practicing maths and science, they’ll also be doing some foreign language learning – bingo! This wonderful interactive activity book was recently gifted to us. The delightful illustrations spark children’s imagination by getting them to design their own café menus, decorate their ice cream sundaes or even just think about their favourite foods. 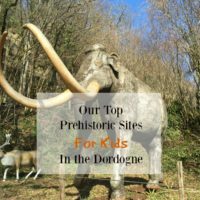 It’s chocfull of activities that get children thinking about how food is grown and cooked. A real hit in our household! And finally, make sure your children have the right gear! Why not buy them a proper chef’s hat and apron. Have you ever taken part in a cookery course? Share your experience in the comments below!